Kazuaki Tanahashi has had solo exhibitions of his calligraphic paintings internationally. He has taught East Asian calligraphy at eight international conferences of calligraphy and lettering arts. Also a peace and environmental worker for decades, he is a Fellow of the World Academy of Art and Science. 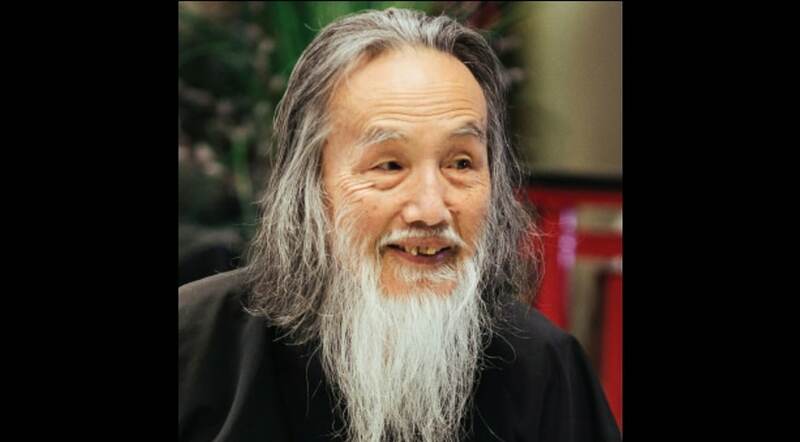 “Kazuaki Tanahashi, born in Japan in 1933 and active in the United States since 1977, is an artist, writer, and peace and environmental worker. As a painter and calligrapher, he has been pioneering the genres of one-stroke painting, multi solo exhibitions of his brushwork worldwide and has taught numerous workshops, including at seven international calligraphy conferences. As a writer, editor, and translator, he has produced over forty books in English and Japanese. As an environmental activist, was the founding secretary of Plutonium Free Future. As a peace activist, he worked against the nuclear arms race and two Gulf Wars. He is currently the founding director of A World Without Armies. He is also a Fellow of the World Academy of Art and Science. A thirteen-year-old boy who loved the dense smell of Western philosophy, I was not at all physical; every movement I made was destined to be chaotic. While my fellow students were beautifully thrown down by the master, I would cling to his arm so he had to shake me off. In addition to his calligraphy and Zen teaching, Kaz is a world-renowned author and translator of Buddhist texts from Japanese and Chinese to English, most notably works by Dogen (he began his translation of Shobogenzo in his twenties). He first met Shunryu Suzuki in 1964, and upon reading Suzuki’s book Zen Mind, Beginner’s Mind he stated, “I could see it’s Shobogenzo in a very plain, simple language.” He has helped notable Zen teachers author books on Zen Buddhism, such as John Daido Loori. You can find his extensive work in Dogen translation through the right side bar under Books and Articles. For more teachings please visit Kaz’s website where you can find his artwork, publications, and workshops. And, you can watch more of Kaz’s videos in our library. video If each moment is complete why do we need practice?